Nowadays business leaders and businesses of all levels are in a great need for highly qualified workforce (just watch or read the news). 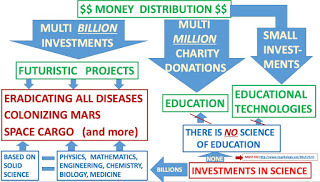 That is why business leaders and businesses of all levels are calling for transforming current state of STEM education (click hear for a typical example – one of many!). 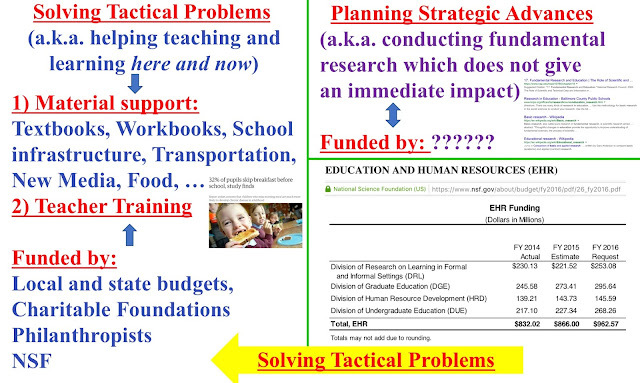 However, everyone who is familiar with the history of education knows that similar needs and calls are nothing new. Since the first shock of the Russian Sputnik (1957) politicians, government officials, business leaders have been trying to transform STEM education to prevent the U.S. from losing its competitiveness (for instance, just check the list of corresponded federal and state laws). A logical person should ask, why, despite all the efforts (and billions of dollars) the urgency in transforming STEM education hasn’t lowered? The answer is actually simple. We live in a very different world than it was decades ago, but the discussion about education has not changed a bit. The decades-long battle can be summarized as a collision between “charter schools and merit pay” supporters vs. “we need job security and more resources” advocates. I came in education from physics. Physics had known a similar “clan vs. clan” collision. 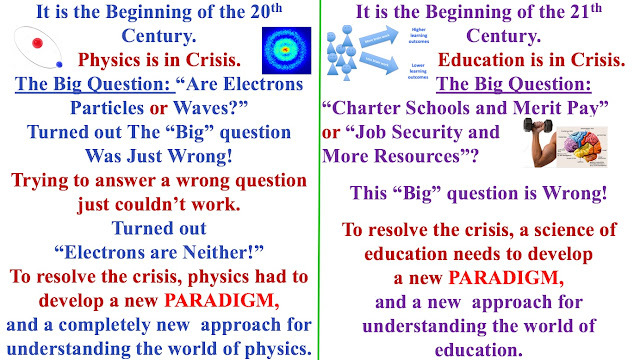 Close to a hundred years ago physics was in a crisis (like the current education is). Physicists debated if the newly discovered tiny objects are particles - just like tiny balls, or waves - like ones seen on the surface of a lake. Eventually the crisis had been resolved. (like: “Who won 1063 Super Bowl on Mars?” - the question itself has no sense!). The new microscopic objects (electrons, protons, neutrons, even atoms and molecules) were neither particles nor waves. To resolve the crisis scientists had to invent a completely new way of thinking about the nature. Turned out that the old way of thinking, which perfectly worked for analyzing macroscopic phenomena, just could not be applied for analyzing the microscopic world. A new paradigm had to be developed and be used to replace the old one. The fact that decades of reforms left education in a state that still needs serous reformation is a clear sign that the debaters need to seek a new paradigm, because, clearly, the current one does not really work. Yes, there has to be a way to weed out teachers who cannot teach (are they really teachers?). Yes, there has to be a way to provide incentives to teachers who do a good job. But on the other hand, there is no evidence that a merit pay works. And on average only one in five charter schools visibly outperform public school in student learning outcomes (“the majority do the same or worse”). 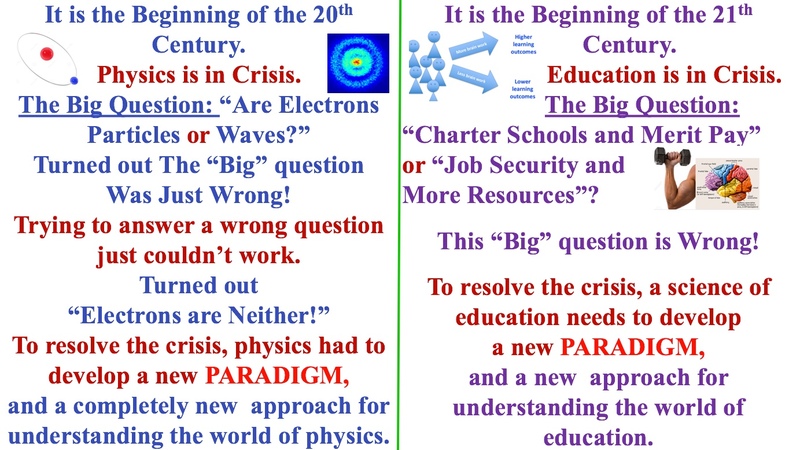 Continuing the debate and seeking the solutions using the old paradigm will NOT bring the so-needed changes in STEM education. 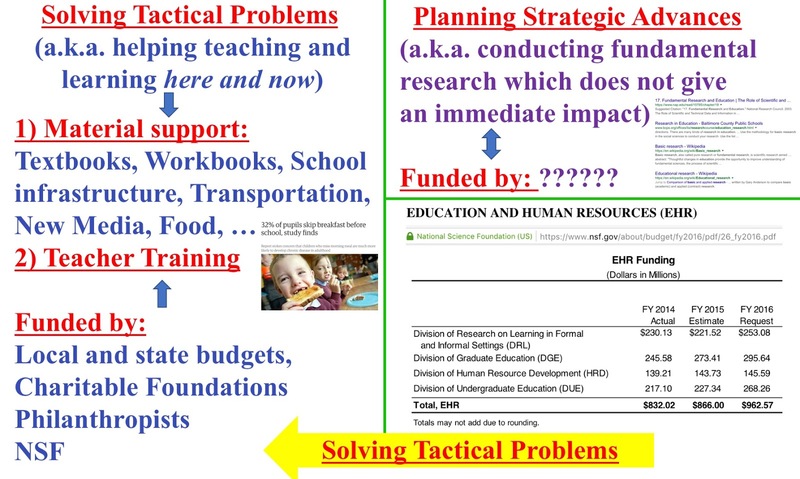 I’ve been in education for many years, teaching physics, algebra, geometry, trigonometry, logic, problem solving; studying teaching physics, math, and problem solving; helping teachers with teaching physics, math, and solving their professional problems; consulting administrators on the efficient managing of teaching. The history of business demonstrates that often a breakthrough in a certain technological field is brought by the outsiders in the field (an example? Netflix!). Currently business leaders provide tremendous efforts to support STEM education by helping teachers with solving everyday professional problems. However, from a strategic point of view, the time has come for business leaders to drive the reformation of the way STEM education is currently being reformed. Business leaders – as the outsiders for the field of education – could and should generate the search for a NEW PARADIGM of the educational reform. I would be happy to offer my view on the most important elements of the new paradigm. If you would like to learn more or to become a part of the force driving the reformation of the way education is currently being reformed, please, feel free to contact me and/or to set up a short meeting, or please pass this letter to your associates. P.S. you could also start from reading this post from HP or this post.